Riley is a socially-awkward barista who is crushing hard on Piper, an attractive customer who always seems to over-tip. Despite encouragement from Brad, their outgoing coworker, they don't think they stand a chance. When they see her performing at a burlesque show, they are given the opportunity to overcome their shyness and tell her how they really feel. 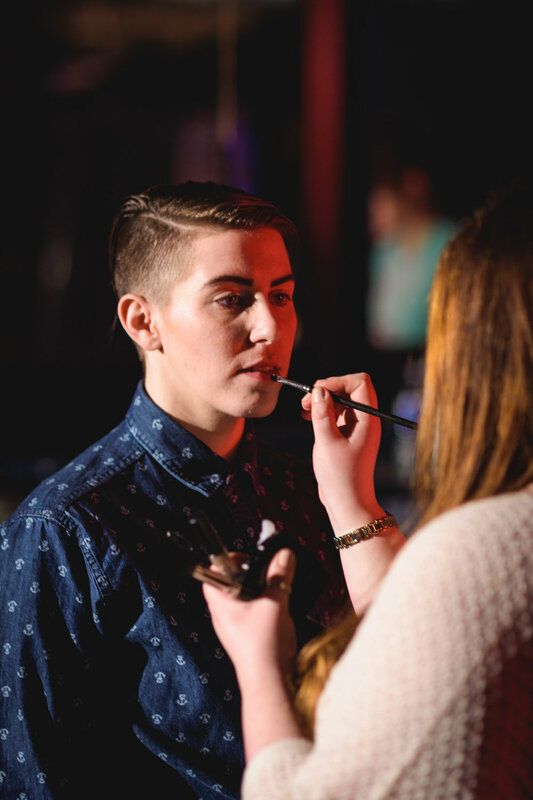 In 2015, Jake Ivany and Steph Young were accepted into the FILM 5 program through the Atlantic Filmmakers Cooperative, giving them the opportunity to develop an idea about a barista and a burlesque performer. After months of script re-writes and workshops, Tipping Point was selected as one of four films to go into production in 2016. The short film was shot on location in Halifax at Plan B and Menz & Mollyz Bar with a incredible crew and spectacular local cast.